Media and Contents: One part in turned alloy. 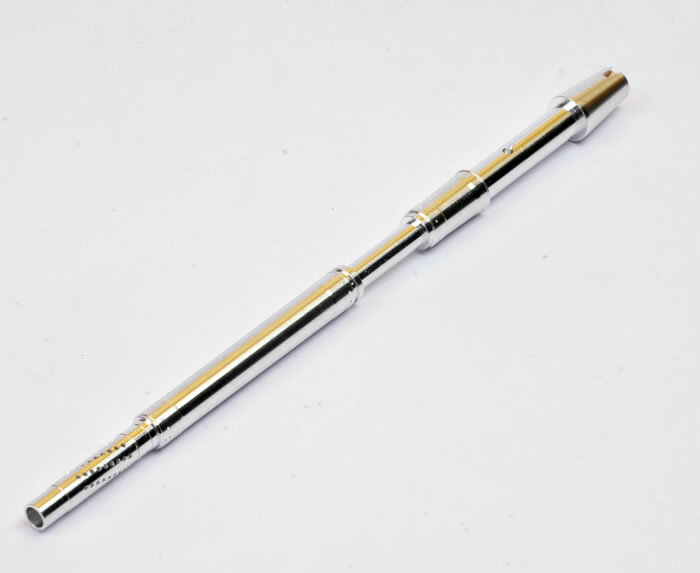 Advantages: Fast and easy upgrade; perfect production; instructons included. 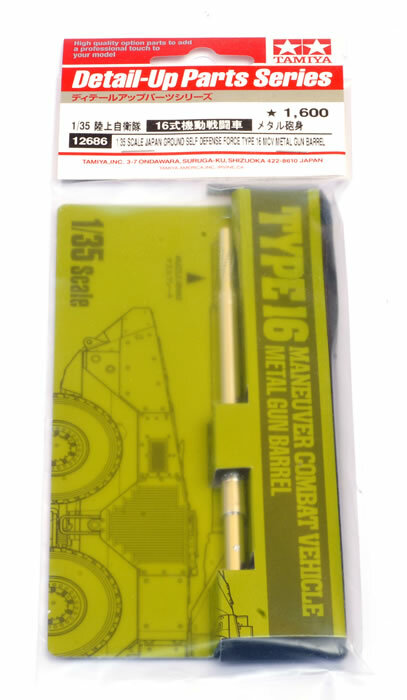 Recommendation: If you are building Tamiya’s new 1:35 scale Japan Ground Self Defense Force Type 16 MCV, this new replacement metal barrel is a worthwhile upgrade. Tamiya has released an upgrade for their excellent 1:35 scale Japan Ground Self Defense Force Type 16 MCV. This is a new one-piece turned metal gun barrel. 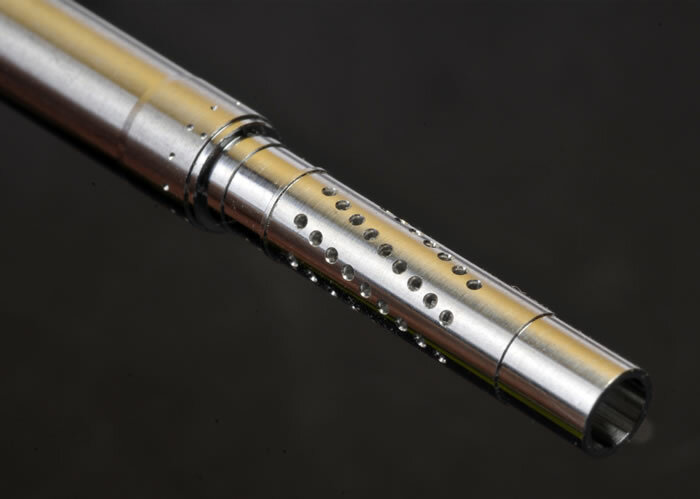 This is a luxurious accessory that looked beautiful in its shiny alloy finish, but its two big advantages are the smooth barrel with no seam lines to clean up, and its amazingly crisp and deep spiral-patter holes in the muzzle brake. Instructions are barely required but Tamiya provides them anyway. The metal barrel will be partially encased in the plastic kit parts for the fume extractor and the fabric cover for the base of the barrel. 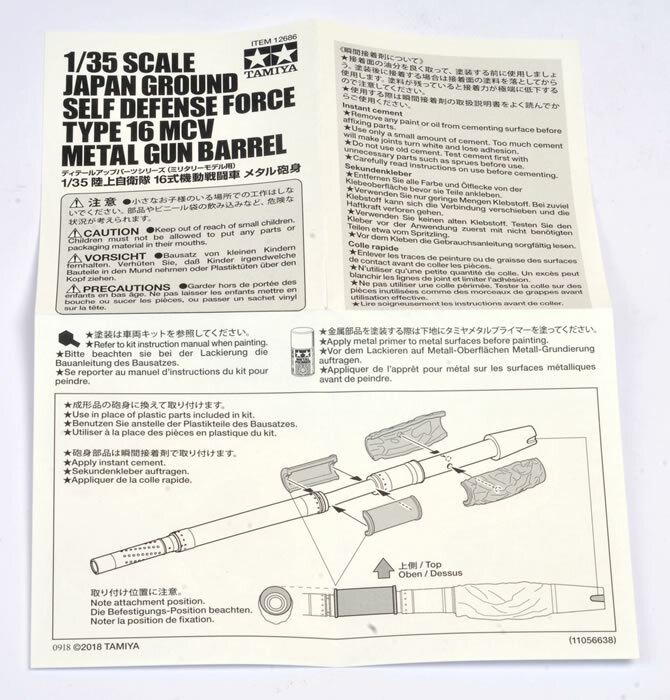 If you are building Tamiya’s new 1:35 scale Japan Ground Self Defense Force Type 16 MCV, this new replacement metal barrel is a worthwhile upgrade.